We can identify the offending programs, remove them, and install a free anti-virus program to help protect from future infections. Fake ant virus programs displays a constant annoying pop up box which generally are a nuisance and slows the computer down. There are also fake registry cleaners which pretend they will repair your slow running computer, and fake driver finder. These programs generally get installed with either free bundled software, sharing sites, or it can be the user which is duped into thinking they are downloading a computer device driver, it is also difficult for an average computer user to know which programs are legit and which are fake. The 360Safe looks like the legitimate 360 which is the standard program used by millions of Chinese but really the 360safe will do undesirable things to you and your computer. 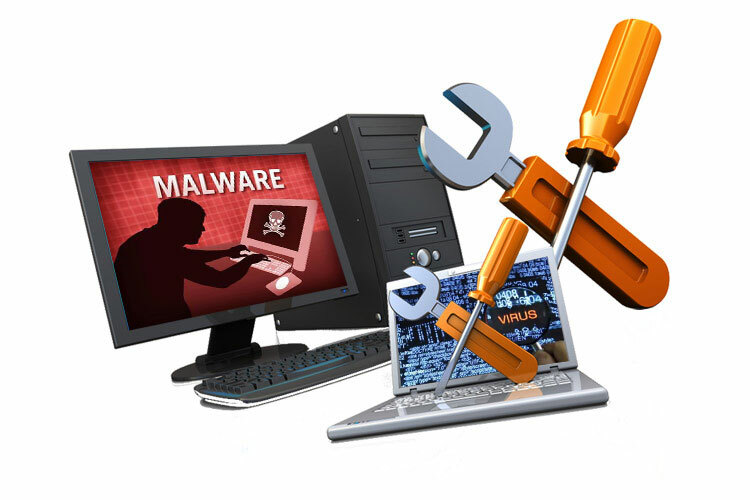 Malware is short for Malicious Software, it’s a type of virus that will hijack your browsers and likely to change operating system files, or personal data files. Most malware infections can just be removed but sometimes depending on the infection severity and damage done to the system files the best option may be to back up the personal data (if required) and re-install the operating system. An inspection can determine whether or not the operating system needs to be re-installed. Adware is the name given to programs that are designed to display advertisements on your computer, redirect your search requests to advertising websites and collect marketing-type data about you, for example, the types of websites that you visit so that customised adverts can be displayed. Adware also can hijack your browsers redirecting the browsers to other sites which will probably infect you even more. Ransomwware is a Crypto type of Virus which is seen more and more nowdays. A downloaded infection file will scan the drive copy the personal documents pictures spredsheest, emails, and any other file it likes then locks them by encpytion, they then hold the user to Ransom to pay for the unlocking key. Dont pay no money! The chances of ever getting that key from the Ransomer is very slim. There are two methods which we can try to recover the locked data, please contact us for advice and repair. A Trojan horse or Trojan is a type of malware that is often disguised as legitimate software. Trojans can be employed by cyber-thieves and hackers trying to gain access to users' systems. Users are typically tricked by some form of social engineering into loading and executing Trojans on their systems. Once activated, Trojans can enable cyber-criminals to spy on you, steal your sensitive data, and gain backdoor access to your system. The telephone scam involves a call claiming to be from a big company such as Microsoft or TalkTalk or any other broadband provider; it's usually from an Indian person telling you your computer is infected with a virus which needs to be cleaned as its affecting their servers. They then get you to instigate a remote support action where you inadvertently let them take control of your computer, they then run a video file that looks like it's scanning your computer for infection but really they are modifying your system files in the background preparing to lock your computer if you don’t pay for their so called Virus cleaning service. If you have experienced this and need your computer unlocked just give as a call for advice and repair.